Dr. Karla Holloway is distressed. The James B. Duke Professor Emerita of English at Duke University, who retired last year, doesn’t like how a senior administrator used his power and influence to cause two campus coffee shop contract workers to lose their jobs this week because he was offended by some of the lyrics in a song they were playing. The administrator, Vice President for Student Affairs Dr. Larry Moneta, didn’t just happen to be White, and the apologetic worker he discussed it with didn’t just happen to be Black, Holloway suggests. What happened, she contends, was a display of “institutional arrogance” that has much to do with race and power dynamics. The unfolding story at Duke is among a recent spate of highly publicized incidents on college campuses that many perceive as racial intolerance and bias. When a Black Yale student studying in a dormitory commons area nodded off, a White resident who saw her asleep called campus police and complained, resulting in an unpleasant encounter early Tuesday morning. Police interrogated the 34-year-old Black student, who posted videos of portions of the encounter on social media. On Saturday, social media was ablaze with video that quickly went viral showing a White graduation official manhandling Black students who were celebrating as they crossed the stage at a University of Florida commencement exercise. He reportedly rushed or restrained upwards of 30 demonstrative graduates, mostly Black. Two Native American brothers on a Colorado State University college campus tour last week were detained and missed the rest of the event after a parent called the police and said she was nervous about the teens’ presence. Public criticism was swift in each case – thanks to social media – and schools are responding. At Yale, dorm officers admonished the student who called police. University of Florida President Dr. Kent Fuchs addressed his school’s controversy at a subsequent graduation ceremony, issued apologies on social media and said he was personally reaching out to 22 students via letter, email and telephone. Meanwhile, the school placed the aggressive faculty member on paid administrative leave this week while the matter is addressed. At Colorado State, Native American students, backed by non-indigenous classmates, sent administrators a list of long-standing concerns triggered by the campus tour incident. Several Native American students met Wednesday with a university representative to discuss how the school atmosphere can be more welcoming to Native American students. And at Duke, the Joe Van Gogh coffee shop owner Robbie Roberts issued an apology Wednesday on Twitter, saying he is working on remedying the situation. Although the song the Black female and White male worker were playing contained the f- word and the N- word, many felt that termination may have been too swift and too harsh. In an email Thursday afternoon to all faculty, staff and students, President Vincent E. Price apologized for “the precipitous and unfair treatment these employees experienced” and pledged to involve the university community in efforts to move forward and do better. “”We have somehow lost the sense of compassion and human tolerance that should define our community,” he wrote. “This is reflected in the ways we interact with each other, the ways we hold ourselves and others accountable for our conduct, and in our words and deeds as scholars, students and employees. Holloway agrees, citing the incident at Yale as an example. The recent occurrences, despite heightened publicity, definitely are not uncommon, says Dr. Shaun Harper, a Provost Professor in the Rossier School of Education and Marshall School of Business and the Clifford and Betty Allen Chair in Urban Leadership at University of Southern California. Stories of racial intolerance, insensitivity and bias are consistent in data the center has gathered from interaction with more than 10,000 non-White and White college students over the last 11 years, Harper says. Could the incidents be about anything other than or in addition to race? Cheryl Crazy Bull says it is about race, but it also is about people’s fears of guns and violence. 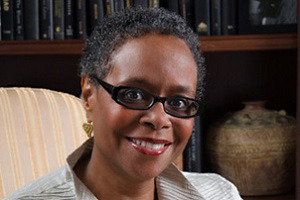 Harper stresses proactivity, contending that too many colleges and universities adopt the attitude that negative racial incidents cannot happen on their campus – and when they do occur, the school is unprepared to properly address them. Cheryl Crazy Bull recommends five ways for institutions of higher learning to be safer, more inclusive and more welcoming places for indigenous students: acknowledge whose land the institution operates on, because all land at one time belonged to indigenous communities; educate faculty, staff and students about racism and how to overcome it; ensure that indigenous knowledge and information is appropriately included in curriculum, pedagogy and programming and invest in student support; learn about and share student data, investing in student access; and report on partnerships and tribal relationships. Schools also should stop allowing racial intolerance and bias by hiding behind protocol and ideas of free speech, Holloway says. She urges correctives such as college scholarships to the two Native American teens, for example, and assault charges against the grabby faculty member at the University of Florida. Holloway wants a better college climate at Duke and elsewhere for all stakeholders of color – including her daughter, Ayana Arce, a tenured professor in Duke’s physics department and the first Black woman to graduate from Harvard with a Ph.D. in physics. You can reach LaMont Jones at ljones@diverseeducation.com. You can follow him on Twitter @DrLaMontJones.